These goodies are NOT to be missed! I love pumpkin, all year long, and especially in the fall. I was experimenting with this recipe on a rainy yucky day and it turned out perfectly! Check these out. These cookie bites could likely be made into flat cookies, but I like the fluffiness of them in “bite” form, so I left them this way. You could also add a number of different ingredients too- like raisins, coconut chips, pistachios, extra sugar (I added none), and more. 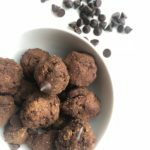 Not only are these cookie bites yummy, but they’re also good for you as well- because they’re loaded with fiber, healthy fat and gut-healthy probiotics. For the lowest sugar version (this version), make sure you use dates as the only sweetener. Enjoy these yummy bites! They’re paleo friendly and vegan. Spray your baking sheet with avocado or coconut oil- set aside. Combine all ingredients in the blender. Blend on low/medium for about 1 minute or until the dough is homogenous (or mostly)- it’ll be a thicker, heavier dough. Remove the dough from the blender, and roll into 1″ balls and place onto the cookie sheet. Bake for 25 minutes (or until the outside is slightly crispy/firm). Remove the baking tray from the oven, and allow to cool before eating or storing, YUM! Want more recipes like this? Click here! 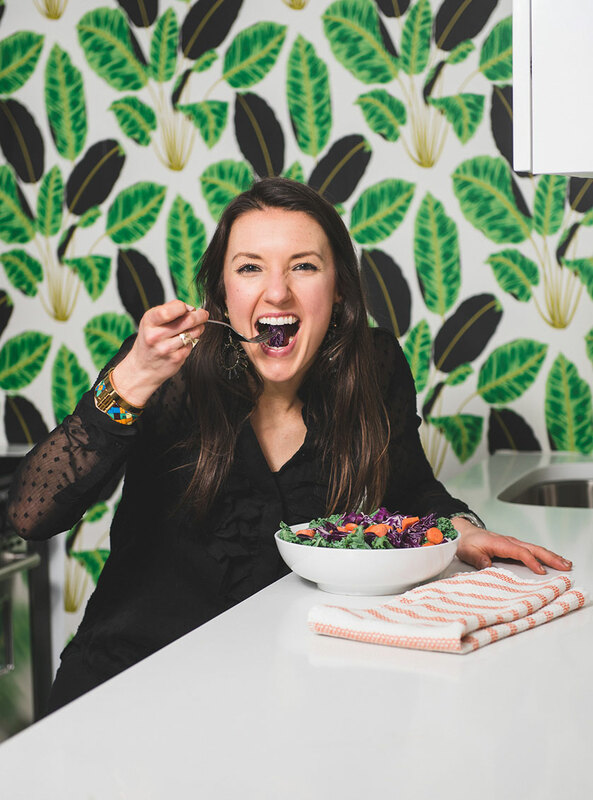 Hi I'm Isabel, Registered Dietitian Nutritionist and founder, CEO of Isabel Smith Nutrition and Lifestyle. I'm so glad you are here! I create healthy recipes with whole food ingredients to help you on your health and wellness journey! Subscribe for my free 3-day meal plan! FEEL LIKE YOUR BEST YOU! Don’t miss any of Isabel’s Lifestyle and Wellness Tips. Get our free newsletter here (packed with recipes, tips, announcements, and more).